This chunky Swamp Monster Slow Cooker Jackfruit Gumbo is full of okra, tomatoes, vegan sausage and stringy jackfruit. One of my testers, Robin Fetter of The Real Vegan Housewife, says the soup had “an awesome foamy green effect on top” when she served it immediately, but that the green became less bright after twenty minutes. She highly recommends puréeing the greens into the soup. This recipe is vegan, gluten-free, soy-free, and has no added oil so it’s perfect for all the guests you’re having over for Halloween or any other time. 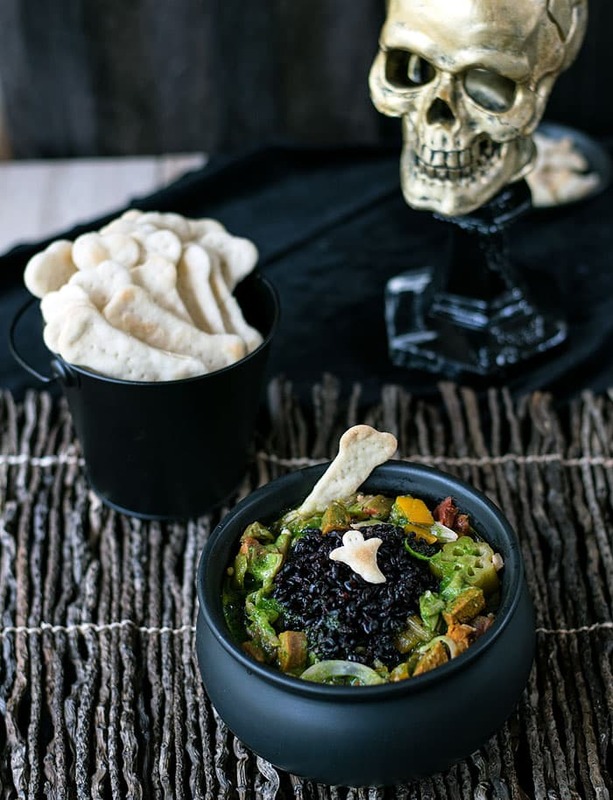 This is just one of the 25 spooky recipes you’ll find in my Halloween e-cookbook, The Ghoulish Gourmet Halloween e-Cookbook. You can get the Kindle version at Amazon and if you have Kindle Unlimited you can read it for FREE! This chunky stew is full of okra, tomatoes, vegan sausage and stringy jackfruit. 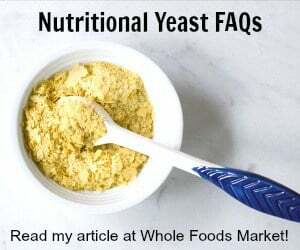 One of my testers, Robin Fetter of The Real Vegan Housewife, says the soup had “an awesome foamy green effect on top” when she served it immediately, but that the green became less bright after twenty minutes. She highly recommends puréeing the greens into the soup. In the morning: Add all the main gumbo ingredients to your 4 quart slow cooker. Cook on low 7 to 9 hours. minutes before serving: Add the greens to a blender with a little water and purée until smooth. Then add salt, pepper and more Cajun seasoning if needed. Remove bay leaves and serve gumbo topped with the green “swamp” purée and a scoop of rice. * shred the jackfruit with your hands – it will happen easily as you remove the large seeds. very creative and interesting flavors, jackfruit!, thanks for this! Ooh what a healthy way to kick off Halloween night! And I love that it’s in the slow cooker, so I don’t have to be there. This looks spooky, fun, and delicious! Perfect way to wam up and fuel up for Trick or Treating, especially in Minnesota! This recipe is over the top Kathy! 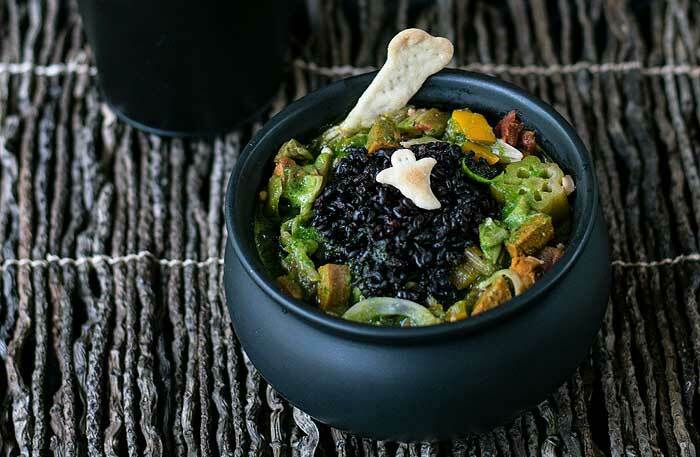 I love all of the details and the fact that it is such a fun savory dish for Halloween. I’m already getting sweet overload!